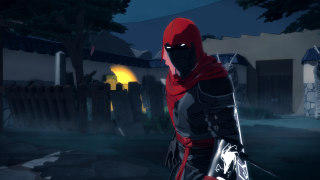 The chief appeal of Twin Souls: The Path of Shadows is that it looks a bit like beloved stealth action series Tenchu. Also, you have weird shadow powers, which is cool. Despite these facts, it failed to meet its Kickstarter target during a crowdfunding attempt last year. Development has continued anyway, and that's a good thing, because this latest slice of game footage looks great. It highlights a number of your abilities, from shadow-to-shadow teleporting, to the ability to paint the ground with shadow. It's a bit like Splatoon, but for goths. An E3 trailer appeared a couple of weeks ago, alongside a Spring 2016 release window.